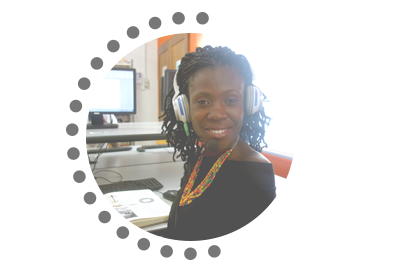 Alliance Française d’Accra offers translation and interpretation services from French into English and from English into French. Our translations are of the highest quality in the Country and are recognized by institutions such as the French Embassy, The United Nations, Ministry of Foreign Affairs, banks, private and public organisations, among others. 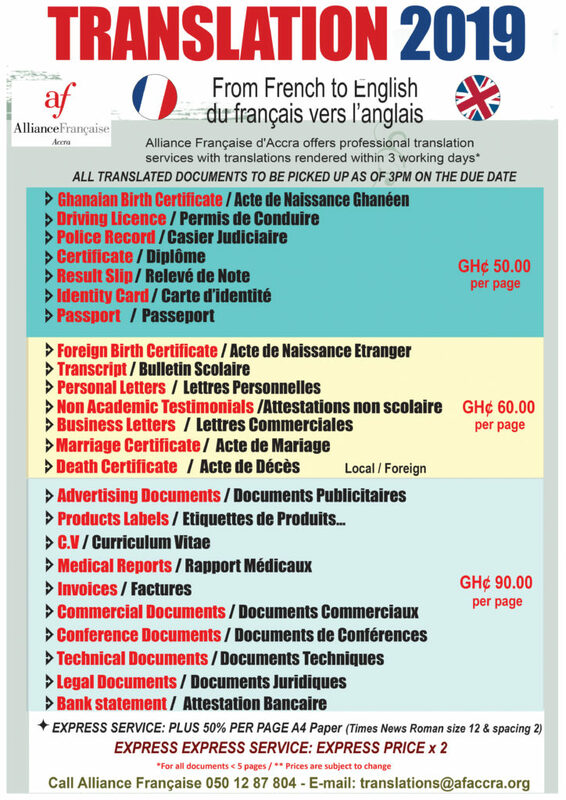 Aside the advantage of having your documents well translated, you can also rely on us to deliver on time. Our Interpreters are also the crème de la crème in the profession. Types of documents we translate are: driving licence, curriculum vitae, birth and marriage certificates, official deeds, degrees, contracts, specialised terminology and advertising documents. 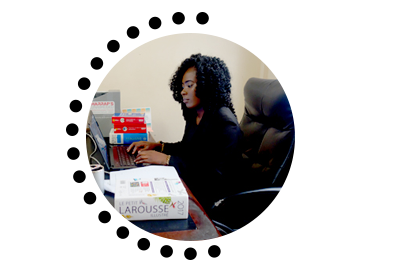 Alliance Française, as a worldwide network provides interpretation services for companies, government institutions as well as private institutions. It is one of the best institutions in the country, always in search of excellence. We work with the best interpreters in Ghana. Our interpreters are ever ready to solve your language difficulties at the court, parliament, immigration, airport and conferences for all types of interpretations: consecutive, simultaneous, liaison, court, community, whispering interpretations etc. Contact us and you will never regret it.